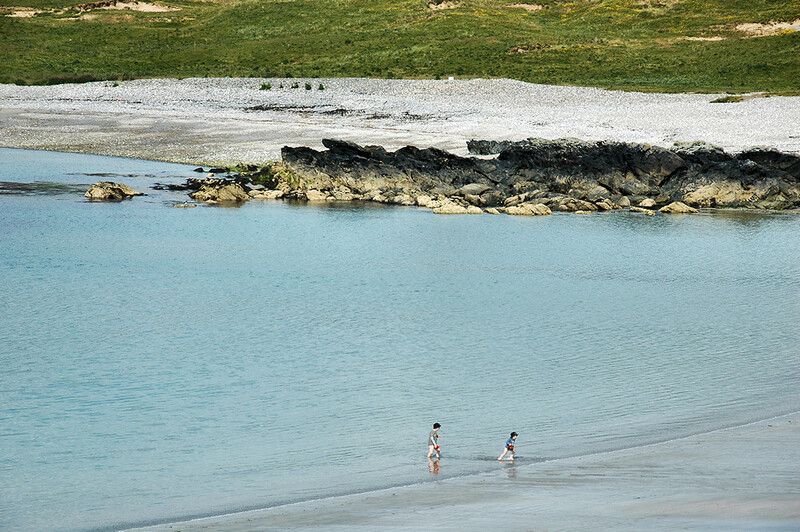 A summer scene from Sanaigmore Bay, two children wading in the shallow water at the beach in Sanaigmore Bay. This entry was posted in Beaches, Landscape, Repost, Sunny Weather and tagged Islay, Sanaigmore, Sanaigmore Bay by Armin Grewe. Bookmark the permalink.